Sign up today for your free account and begin submitting your content to music stores world wide. Search Catapult for the answers to your questions. We may be able to offer you a volume discount on setup fees if you have a large catalog of albums. Please contact Customer Support to learn more. Earn money when your songs are used on YouTube! YouTube reports and makes payment to Catapult for these monetized views which are then reported and paid to you! Because we have delivered this specific song to YouTube, this video was found using that song and YouTube began displaying Ads over it which allows us to monetize the song. Watch the video and you'll see Ads occasionally appear over the video. 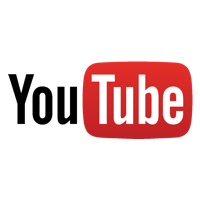 There are certain eligibility requirements in order for Catapult to submit your songs to YouTube. Are your own material for which you have exclusive rights. Contain public domain clips or speeches. Contain any audio library samples, sound effects, or production loops (ie: Garage Band Loops). Contain any third party content that you have not exclusively licensed. Karaoke versions or sound-a-like cover versions. Are part of a compilation. You have previously licensed to a third party on an exclusive basis. Are already monetized on YouTube by another distributor. This service only costs a one time $10 setup fee per album of songs submitted and Catapult will pay you 85% of all revenue earned from YouTube for your songs being used in videos. You can sign up for this service during the album submission process or via your album's page in your Dashboard at Catapult.